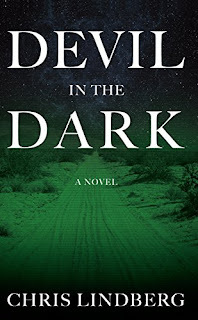 Devil in the Dark is the second book to feature Rage, a tormented soul with superhuman abilities. 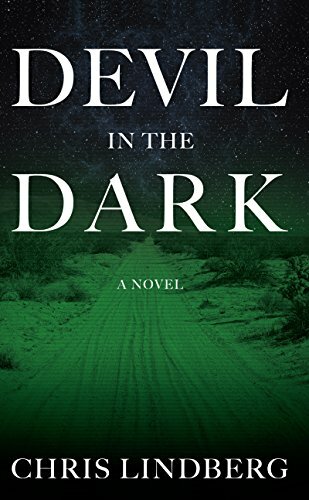 This time he finds himself part of a strike team sent in by the Pentagon to take out Mexican drug lord, the Jackal, who is responsible for a deadly border attack. I was a little disappointed Rage didn't feature more prominently in this second novel. I'd also have liked more of his backstory from the previous book, Code of Darkness. However, despite that, this was a good read with plenty of action spilling from every page. Main characters Otis and Enrique were very believable but it was drug lord Javier, a.k.a. the Jackal, who was chillingly real. The plot held its own and was an entertaining ride but sadly just didn't excite me as much as Code of Darkness. My thanks to author Chris Lindberg for providing a copy of this book. After a deadly terrorist attack destroys a U.S.-Mexico border crossing in southwestern Texas, Border Patrol Officer Otis Brown and migrant worker Enrique Castillo emerge among the few survivors. When the mastermind behind the attack is revealed to be Javier Oropeza, Mexico’s most infamous drug lord, the Pentagon mobilizes its most skilled strike team – led by their deadliest weapon, the specialist known only as Rage – to take down Oropeza and incapacitate his powerful network. Meanwhile, Otis discovers that Enrique is actually a member of Oropeza’s family, and may be working for him. Believing that Enrique may have been involved in the terrorist attack, Otis decides to bring him to justice. The action propels Rage, Otis, and Enrique into Mexico’s darkest landscape, where they discover that Oropeza has launched an even greater threat – and only they can stop the looming catastrophe.